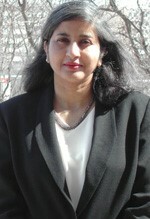 Aparna received her Ph.D. in English Literary Studies from the Pennsylvania State University in 1990, and joined the UW faculty in Fall 2001. Her principal research and teaching interests are in modern Indian and postcolonial theatre, contemporary world theatre, comparative modern drama and theatre theory, diaspora theatre, and Restoration and eighteenth-century British theatre. In 2006, she received the Joe A. Callaway Prize for Theatres of Independence: Drama, Theory, and Urban Performance in India Since 1947 (judged the best book on drama or theatre published in 2004-05), and the H. I. Romnes Faculty Fellowship from the UW Graduate School and Alumni Research Foundation for outstanding scholarship in the Humanities. She has also received essay prizes from Modern Drama (1996) and the American Society for Theatre Research (2014). Aparna’s essays and articles have appeared in a range of journals and collections, including PMLA, Modern Drama, Theatre Journal, New Theatre Quarterly, Studies in English Literature, Studies in Philology, The Eighteenth Century: Theory and Interpretation, Theatre Research International, South Central Review, The Blackwell Companion to Restoration Drama, and Representing the Past: Essays in Performance Historiography. She has received fellowships from the International Research Centre (Freie Universität, Berlin), the National Endowment for the Humanities, the American Institute of Indian Studies, the Folger Library, and the Newberry Library, among others. As well, Aparna has lectured widely at institutions in the U.S. and abroad, including the University of Chicago, University of Pennsylvania, Harvard University, Yale University, University of Toronto, University of Georgia, Delhi University, and Jawaharlal Nehru University. She has served on the editorial collective of Genre, the Fulbright Screening Committee for India, the Gerald Kahan Prize Committee (ASTR), ASTR’s 2013 Conference Program Committee, and the guest faculty for the Mellon School of Theatre and Performance Research at Harvard (2013). Aparna’s most recent publication is a collaborative translation of Mohan Rakesh’s modernist Hindi play, Ashadh ka ek din (One Day in the Season if Rain, 1958) for the Penguin Modern Classics series (2015). Research projects in progress include A Poetics of Modernity: Indian Theatre Theory, 1850-Present, an edited collection of primary source-texts, and Cosmo-Modernism and the Other Theatre, a study of modernist theatre in India. Michael Peterson joined the UW faculty in 2000. He is a performance studies scholar, a performance artist, and a teacher. Michael teaches performance studies, dramatic literature, feminist theatre, and other subjects both in the ITS program and at the undergraduate level, as well as experimental production and performance art. Peterson’s research includes a critical study of Straight White Male Performance Art Monologues (Mississippi UP). a forthcoming book on performance culture in Las Vegas (Michigan UP), and work on animals, food, and objects in performance. His newest work is about performance in and about torture and other forms of cruelty. He has published articles in Performance Research, TDR, Theatre Annual, and numerous anthologies. Michael makes performance works both individually and as part of the collaborative Spatula&Barcode, which specializes in audience-specific relational performance. Since 2008, Spatula&Barcode has produced independent and commissioned works in China, Uruguay, Brazil, Germany, Canada, the Netherlands, Morocco, Croatia, around the U.S., and for the 2013 Wisconsin Triennial at the Madison Museum of Contemporary Art. His 2013 project “Measures of the Lake” was funded by a Madison BLINK! grant and is part of a series on the science and culture of Madison lakes. His newest “solo” work is a barter-based performance that asks how much “acting” can be accomplished by voluntary participants. Michael competed his PhD at Wisconsin in 1993 and earned his BFA in acting from Ohio University. Mary Trotter has been a faculty member at UW-Madison since 2005, where she teaches a wide range of theatre and performance history and Irish Studies courses, from “Introduction to Theatre and Dramatic Literature,” to “American Theatre and Dramatic Literature to 1900,” to advanced seminars on theatre historiography and on the Irish Dramatic Movement. Her own research focuses mainly on modern Irish theatre, reflecting her larger interests in political performance, theatre and identity, gender and/in performance, transatlantic theatre and culture in the nineteenth and twentieth centuries, and historiography. Mary’s publications include two books. Her first book, Ireland’s National Theaters: Political Performance and the Origins of the Irish Dramatic Movement (Syracuse University Press, 2001) examined the dynamic relationship between political activism and theatrical performance in Dublin from the formation of the Gaelic League in 1893 to the Easter Rebellion in 1916. Her second book, Modern Irish Theatre (Cultural History of Literature Series, Polity Press, 2008) offers a comprehensive look at the work of Irish playwrights, players and companies from the 1880s to the contemporary period. In addition, Mary has published articles and reviews in such journals as Modern Drama, Theatre Journal, Theatre Survey, Theatre Research International, and New Hibernia Review, and she has contributed book chapters to several edited theatre and performance collections. Her research is also anthologized in the Norton Critical Edition, Modern and Contemporary Irish Drama (2008). She is currently working on a new book monograph, “Actresses and Activists: Nationalism, Gender and Theatricality in Early 20th Century Ireland.” Along with participating regularly on scholarly panels at national and international conferences, she has been invited to present her research as a guest lecturer or plenary speaker at universities and academic meetings in North America, Canada and Ireland. Her service to the profession includes membership on the Editorial Advisory Board of Modern Drama (2007-present) and North American book review editor for Theatre Research International (2003-2007). She is also completing her two-year term as President of the American Conference for Irish Studies in spring of 2015. Mary holds an Interdisciplinary Ph.D. in Theatre and Drama from Northwestern University and an MA in English from the University of Texas at Austin. Mike joined the University 1996. He teaches courses in dramatic literature (primarily British, American, and Continental), dramatic criticism, and theatre and performance theory ranging from Shakespeare to the European avant-garde and postdramatic theatre. He is an affiliate faculty member in several areas (Integrated Liberal Studies; Visual Cultures; Celtic Studies; Center for European Studies), and currently chairs the ILS Program. Mike is also an active contributor to International Studies and the UW Study Abroad program, having developed programs and taught in London, Dublin and Florence. He is author of Performing Drama/Dramatizing Performance: Alternative Theater and the Dramatic Text (U Michigan) and Elmer Rice: A Research and Production Sourcebook (Greenwood), as well as essays on theatre pedagogy, dramatic literature, and dramatic theory that have appeared in Theatre Journal, The Journal of Dramatic Theory and Criticism, and New Theatre Quarterly, among others. He is currently at work on Decades of American Playwriting: The 1970s for Methuen, and will follow that with an edited book on American theatre companies post-1970. Mike holds a B.A. from the University of Wisconsin – Madison (English and Comparative Literature); M.A. from the University of Chicago (English); and his Ph.D. from the University of Wisconsin Madison (English). 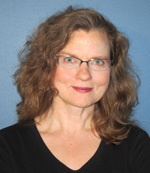 Manon van de Water is the Vilas-Phipps Distinguished Achievement Professor at the University of Wisconsin-Madison, holding a joint appointment in the Departments of Slavic Languages and Literature & Interdisciplinary Theatre Studies. Her research interests have a strong international focus, and include the interdependence of meaning and material conditions in theatre for adults and youth, Russian theatre, international theatre for youth, and theatre and drama in volatile regions. 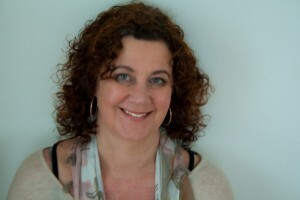 She has published widely on theatre, drama education, and theatre for young audiences in national and international journals such as Research in Drama Education, Essays in Theatre/Etudes Théâtrale, Modern Drama, Youth Theatre Journal, Theatre Survey, Stage of the Art, Korrespondenzen, Prospekt and Insight/Incite. She is a contributor to the Cambridge Companion to American Theatre; The Supplement to The Modern Encyclopedia of Russian, Soviet, and Eurasian History; Gender and Education: An Encyclopedia; and has written book chapters for, among others, “We Will Be Citizens:” Essays on Gay and Lesbian Theatre (McFarland 2008), Key Concepts in Drama/Theatre Education (Sense 2011), Playing With Theory (Palgrave 2011), and Nationalism and Youth in Theatre and Performance (Routledge 2014). Manon is the author of Moscow Theatres for Young People: A Cultural History of Ideological Coercion and Artistic Innovation, 1917-2000 (Palgrave Macmillan, 2006); Dutch Theatre for Children (New Plays Inc., 2008/ Dramatic Publishers, 2009), and Theatre, Youth, and Culture: A Critical and Historical Exploration (Palgrave McMillan, 2012), for which she received the 2013 AATE Distinguished Book Award. She is the chair of ITYARN, the International Theatre for Young Audiences Research Network of ASSITEJ, for which she edited Context and Ambiguity (Assitej 2011) and TYA, Culture, Society: International Essays in Theatre for Young Audiences (Peter Lang 2012), a publication of ITYARN and ASSITEJ, which is also translated in Spanish as Teatro para públicos jóvenes: Perspectivas internacionales (Mexico: Instituto Nacional de Bellas Artes and Ediciones El Milagro 2012). In addition she has edited several issues of Youth Theatre Journal. Her latest publication is a textbook Drama and Education: Performance Methodologies for Teaching and Learning, which she co-wrote with UW-alumni Mary McAvoy and Kristin Hunt (Routledge 2015). Manon is the liaison of the American Society for Theatre Research (ASTR) with AATE and ITYARN, and founding board member and past chair of ITYARN, the International Theatre for Young Audiences Research Network of ASSITEJ. Since May 2014 she serves on the Executive Board of Assitej International, the International Association of Theatre for Children and Youth. Aside from research activities, Manon has also given numerous national and international workshops on theatre/drama education, and has been invited as a jury member to international TYA festivals. Her next project is a biography of Natalia Sats (1903-1993), a major player in the creation of Soviet Russian Theatre for children and youth. Manon received a PhD in Theatre from Arizona State University and a Doctorandus in Slavic Languages and Literature, University of Leiden, The Netherlands.